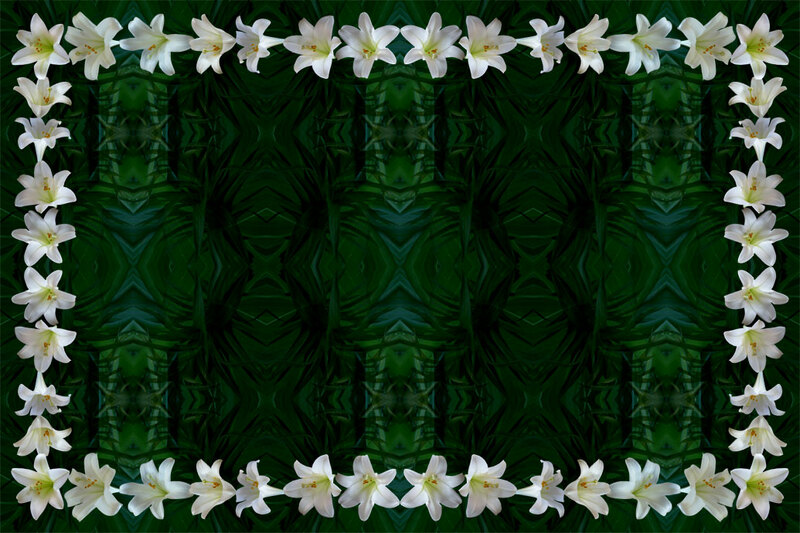 I have started using photos of Easter Lily Flowers to create a mandala and other designs. 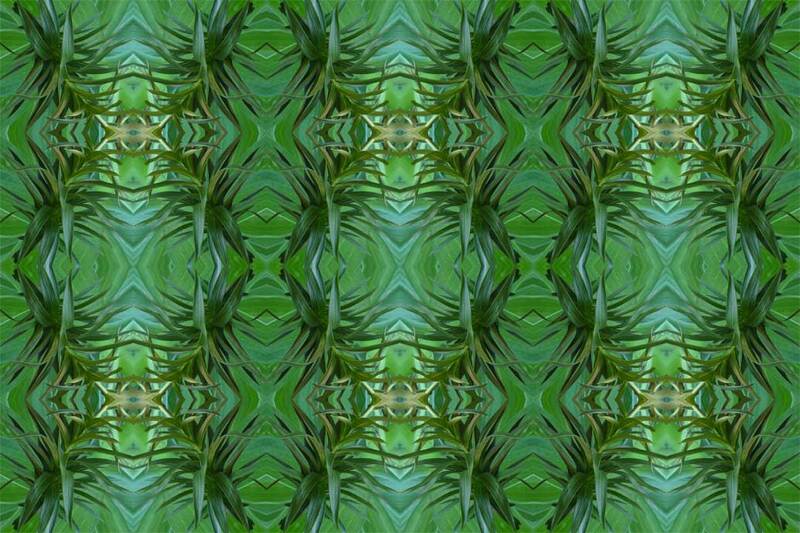 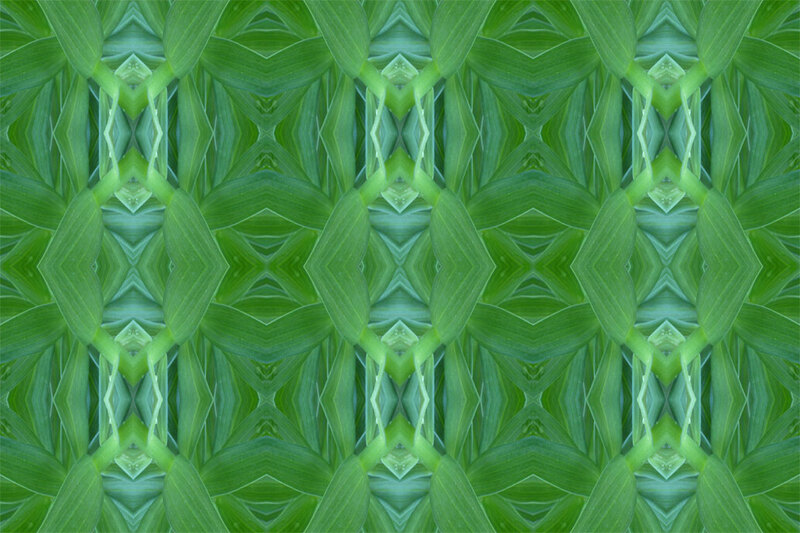 I have used photos of leaves to create a patterned background as you see first. 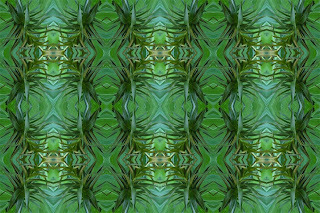 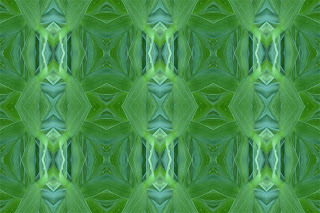 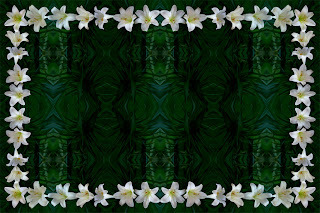 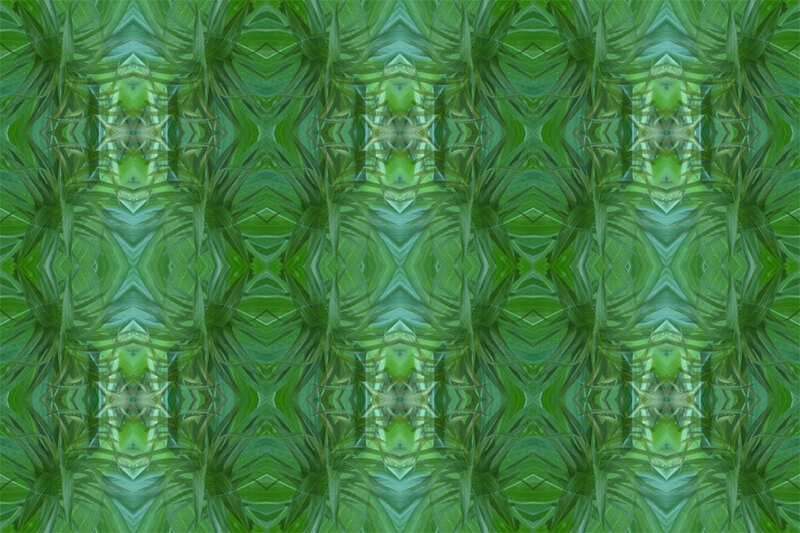 It is nice, but not as interesting as I wanted; so I cut out a lily plant and superimposed the resulting pattern as seen in the second image. 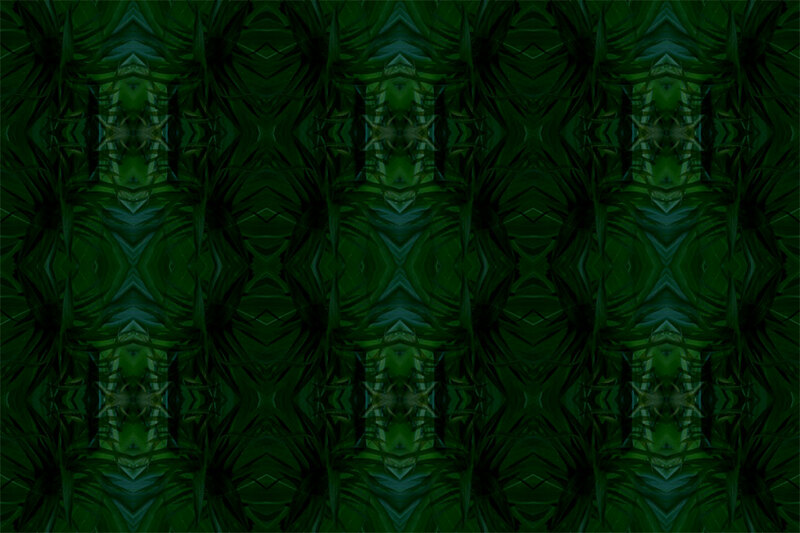 That was more complex, but didn't look right; so I reduced the opacity of that layer to 55% and got the third image. 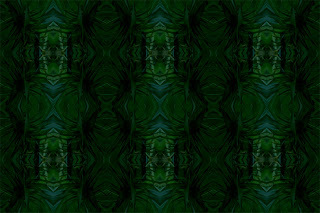 I then darkened the whole design to serve better as a background. 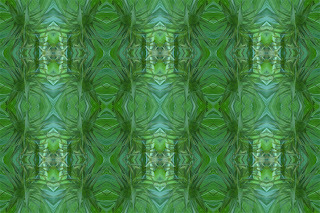 This is a technique I will use more of as it adds a whole new dimension to the designs.